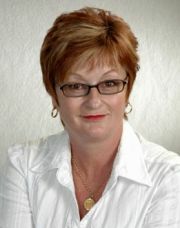 Specialising in the sale and marketing of residential properties in and around the West Auckland area, Ann has developed a reputation for her honest and ethical approach to Real Estate which has resulted in a highly successful property career spanning 23 years. New Lynn house values increased by 12% over the last year to $750,200. Glendene values increased 10% to $762,800. Kelston was up 12% to $745,850 and Glen Eden by 9% to $725,950. The average time it takes to sell a property in the general New Lynn area is currently 30 days. Most expensive sale: $2m in April 2016, Tane St, New Lynn. To find out who sold it and the best agents to sell your home, go to our Agent Selector Service. This is a suburb on every investor's lips at the moment. The appreciation of Avondale, the development of Lynn Mall, the Waterview Connection and planned intensification all scream rental demand, followed by capital growth. Sellers need an agent who can talk in investor and first-time buyer terms to maximise sales prices.